Earlier this month, we went over the four truths of self-taping. Up next: How do you film a self-tape that grabs our attention? We watch self-tapes every day and know why the most important part of your self-tape may be the work you do prior to the shoot. So let’s start at the beginning: There is no substitute for doing the work and a good self-tape requires that you are prepared. You have to know your lines. You just have to. No, you shouldn’t obsess over them but do the work of memorizing them so you can be free when you tape. It can take you minutes or hours—everyone is different—but you must take that time. Understand the story. A necessity even if you don’t have all the information you need. If you don’t know, fill in the blanks on your own so you’re clear. Immerse yourself in the world of the play. 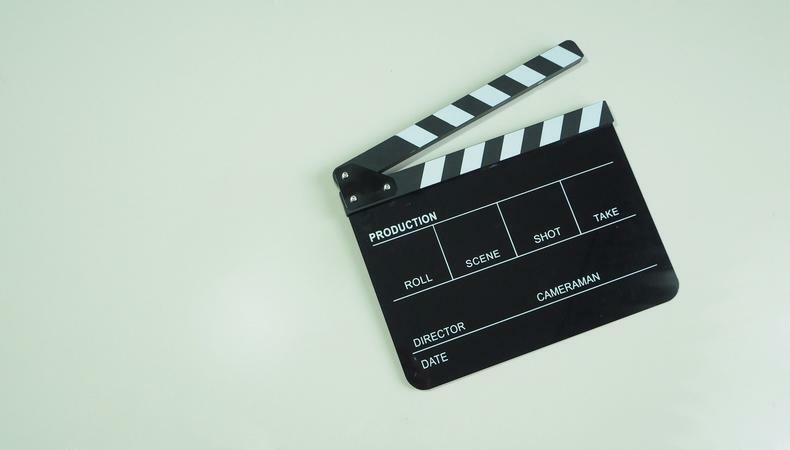 Make very specific choices about your relationship with the reader—in a self-tape, this is your off-screen scene partner—and everything else you’re talking about in the script. Know how you feel about it all and know what you want from the reader. Think of your reader as your off-screen partner for your take. Know the tone and world of the show or film. Much of your work will be the same, but the script and nature of the world will dictate different choices. Know the people involved and their backgrounds since you’re about to collaborate with them. Enjoy your preparation. Be bold, get personal, and marinate in the work. Prepare as you would to go to work, not to try to get work. If you prepare for your self-tape as if you’re going to a day on set, the feeling of preparation is very different. Take 10 minutes to practice connected movement. Do some yoga, dance, Qi Gong, Tai Chi, or simply take a leisurely walk around the block. Nothing strenuous and nothing that will break a sweat, but do connect to your body. This will warm you up, making your emotions and vulnerability more accessible. After 10 minutes of movement, you should feel connected to your physical self. Now let’s put pen to paper and answer this question: How do you feel? We’re not asking how you “as the character” feel. Rather, how do you, the actor, feel? Write it down. Don’t judge what comes out, just acknowledge your present experience. Doing your best work can only happen when you’re in the moment, so take a few minutes to observe and acknowledge what’s happening internally in an effort to bring yourself to now without any judgment or need to dissect what any of it means. Now put your pen and paper to the side, close your eyes, and observe your breathing for another 3-5 minutes. Don’t think about your choices or what your agent is going to think or if this will be your big break. None of that matters in this moment. If you start thinking, don’t worry. Gently bring yourself back to your breathing. Feel your feet on the ground, your hands on your lap, how your shirt falls on your shoulders. Be here. Right now. Ready to work. As you prepare to enter your self-tape space with awareness, presence, ease, focus, and on fire, remember that whatever you do to prepare for rehearsal, reading, or a day on set is how you must prepare for your self-tape. The impulse is going to be to concern yourself with the technical aspects of things, the details of how you look and worrying about the words. But this isn’t about creating the feeling or environment of an audition space that you may have come to hate and fear. This is about immersing yourself in the world, relationships, and circumstances so you’re ready to walk into the light. Check back next week for the final post in our series on the essentials of the self-tape.